The MS-710 offers the ultimate in adjustable, accurate, high-speed scanning. The MS-710 offers the ultimate in adjustable, accurate, high-speed scanning. This exceptionally compact scanner is ideal for fast-moving barcode label scanning. Its spinning, 10-sided mirror projects a laser beam at a 60 degree scan angle, up to 8 inches wide. The MS-710 gives you the flexibility to scan a variety of label qualities and densities by way of its embedded firmware which allows operators to program scanning rates from 300 to 550 scans per second. The MS-710's raster option lets you address even more scanning applications. Using tilting mirror facets, which deliver 10 scan lines over a 2 degree arc, you can achieve greater flexibility with label placement. The MS-710 is the scanner of choice for use in pharmaceutical packaging, automated manufacturing, and office automation. 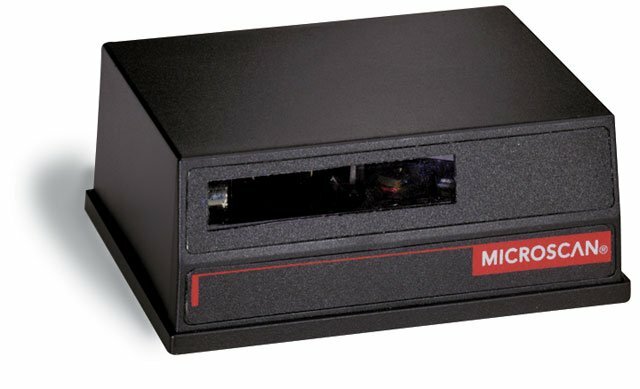 The Microscan FIS-0710-0001 is also known as Microscan Systems	FIS-0710-0001	or FIS07100001	.